Do you need a strategically-balanced mix of traditional and digital marketing strategies? Integrated marketing communications is precisely this intersection of traditional and new marketing, public relations and communications strategies. At LCI, we start first with defining your business objectives, then identifying your audiences and where they consume information. After that, we create an integrated plan that helps tell your story the right way to the right people. Perhaps your media mix involves combining content marketing, public relations storytelling, billboards and radio spots with a Facebook contest to increase reach and drive engagement? Or maybe you use print magazine ads and editorial by-lined articles to drive traffic to your social media? 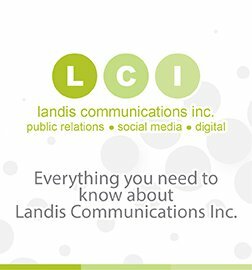 The experts at Landis will use their decades of traditional and new media experience to work with you to design the best possible integrated marketing campaign and media strategy to help deliver the results that support your business growth.